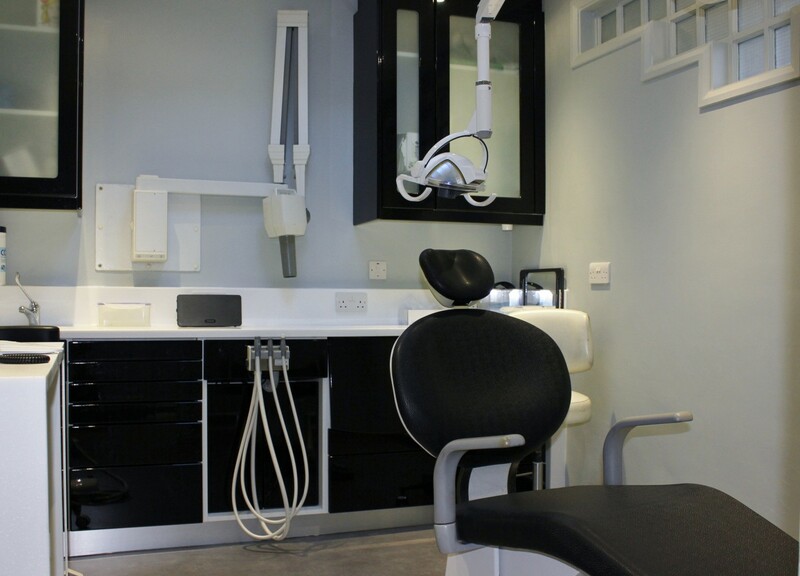 Hague Dental specialise in dental practice design, and surgery refurbishments for practices in London and the South. 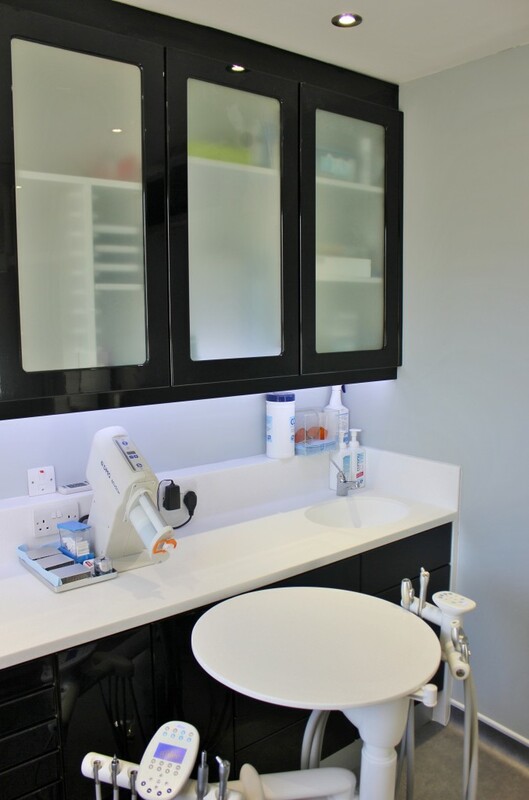 Below is a case study of a two surgery Dental Surgery Refurbishment and Build Project for a busy implant and cosmetic practice in St Johns Wood, London. “Big thanks to Hague Dental and all their team. As a single handed two surgery practice the planning, pricing and most importantly, timing of my refurbishment was crucial. With careful planning utilising the expert advice of Sam Gee, the project was delivered on time on price and looking stunning. All the team involved, builders, cabinet fitters, equipment suppliers were all acutely aware of the time pressures and worked extremely hard to ensure the project ran well. I was able to go on holiday and leave Hague oversee the whole build keeping me informed along the way. We’re now enjoying our fantastic new surroundings and all our patients have been full of praise for the new look. I couldn’t recommend Hague highly enough. 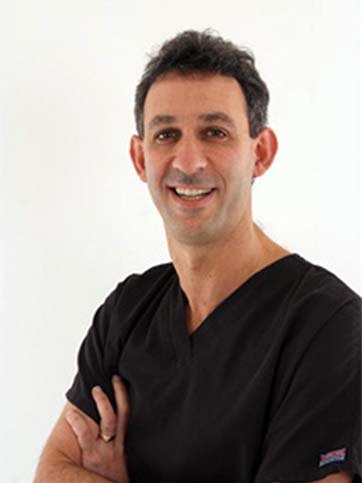 Paul had historically used a local build team for his practice refurbishment and had two reliable Belmont Clesta chairs. 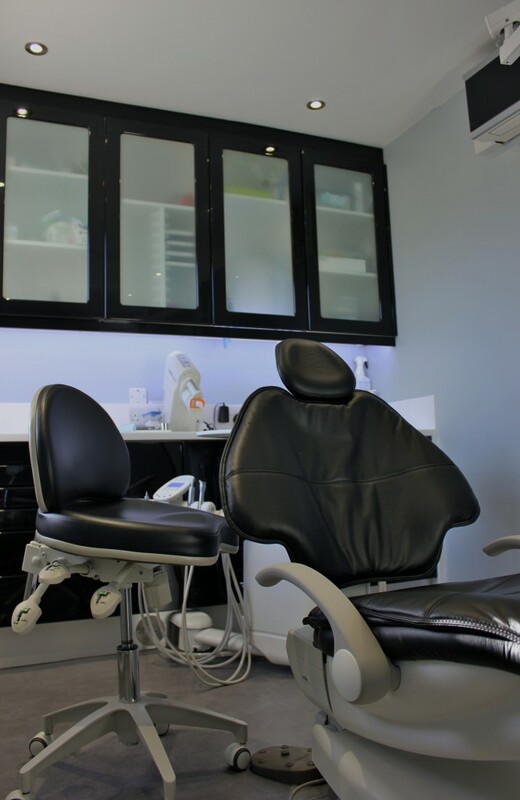 However after meeting Hague Dental through a Facebook Group, Paul called us in to provide his practice with a turnkey solution.The outline was to create larger rooms and to modernise the feel of them to fit in with the rest of the practice. Hague provided Full Project Management Services for the project, which meant coordinating our own build team, floorers and cabinetry manufacturers to avoid costly down-times. We extended Surgery One and put in a A-dec 500 with a cabinet mounted 12 o’clock system and no spittoon. 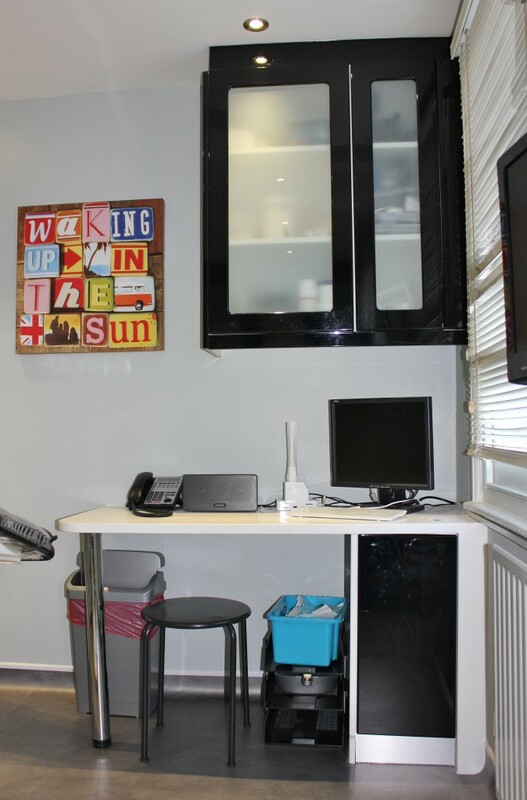 This created a spacious feel for the patient and allowed enough room at the foot of the chair for a small consultation desk. Surgery Two for the hygienist, has been redesigned to give more working space and better access. 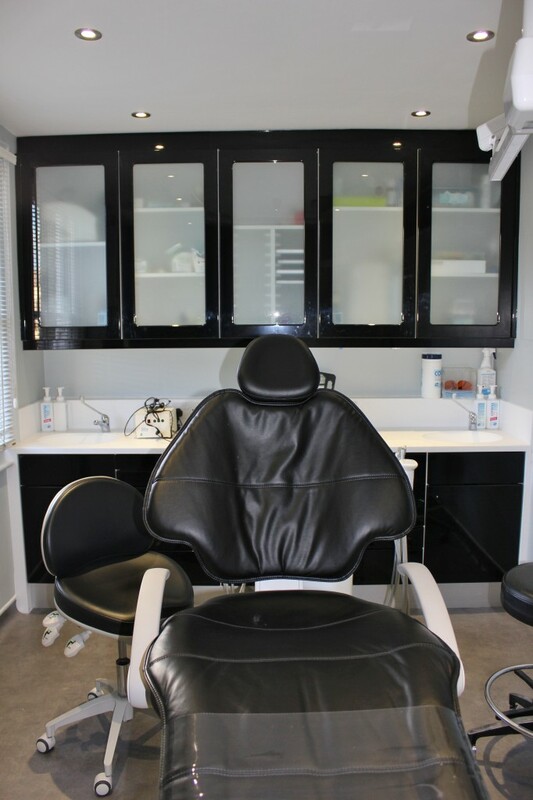 Both surgeries have been kitted out with the latest in design cabinetry in black, with handless fronts and full wrap around Corian tops. Hague continue to support the the SmileMore team with all their equipment servicing and repair requirements.